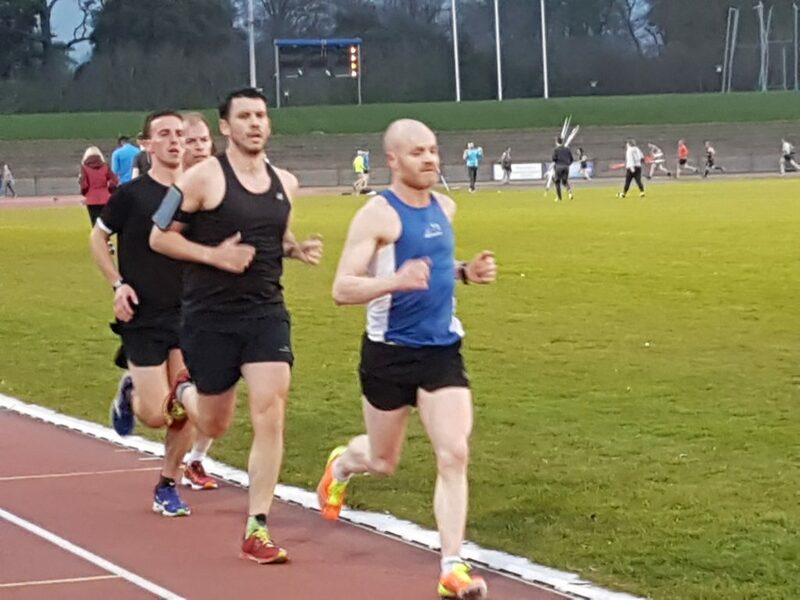 On a perfect Spring night under lights in Morton Stadium tonight’s round 2 of the Grand Prix series, the McDonald Cup drew another bumper field. The McDonald Cup has a history going back to 1907. 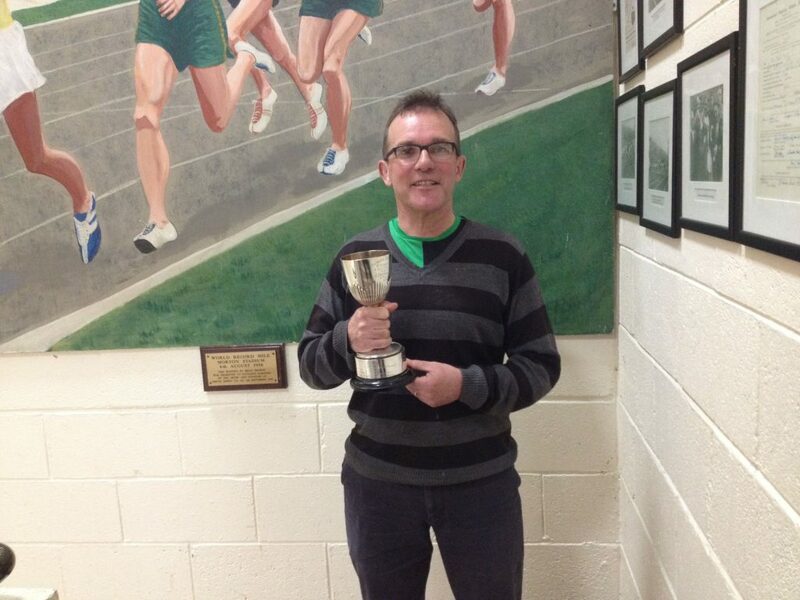 Having been one of the “missing” club races after it disappeared for nearly 75 years before being found in a house clearance in the 1980s and then finding it’s way back home to Clonliffe. The race was originally a 4 mile road race but is now firmly a track race. At 8.00pm the field was off for 16 tours of the track. Within a couple of laps the lead 4 were away as the entire field was blown apart and was soon spread out over the entire 400. Throughout there were nice little battles taking place but as always every runner was enouraged home. The officials did a super job keeping count of all. The race of course is a handicap and the results were announced in the club bar. The race winner was a very popular one, long time club member and a guy who raced throughout the years in the Grand Prix since its inception some 19 years ago, Declan Murray. Full results later.